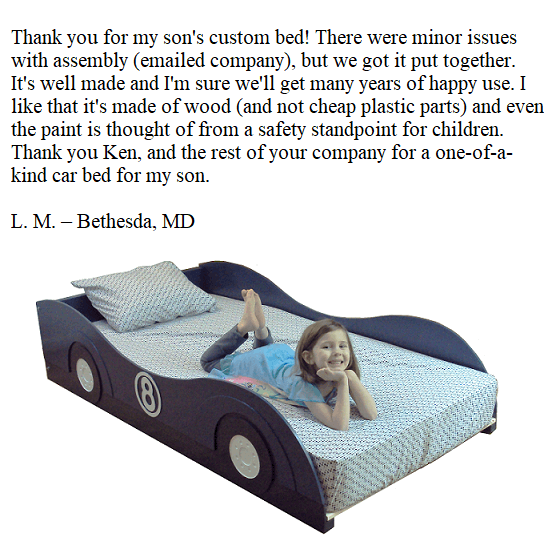 Handcrafted beds and bed frames themed for kids. 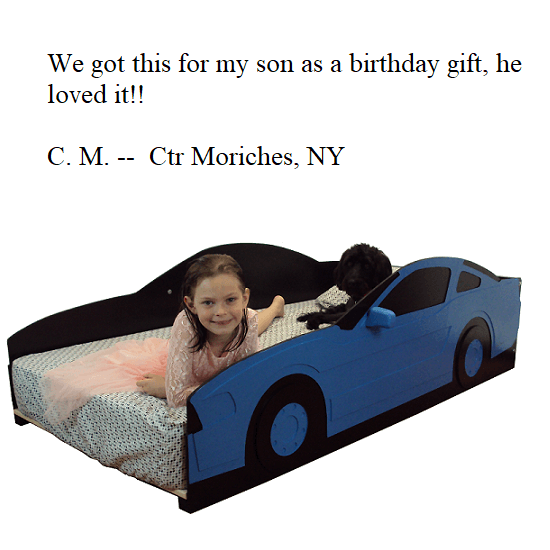 Browse our products, or if you want a custom design just contact us. 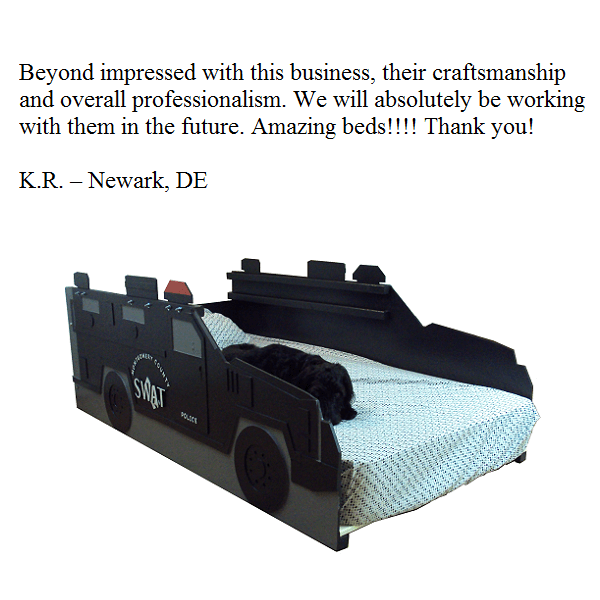 -2/22/2019: Check out our newest police cruiser bed frame! 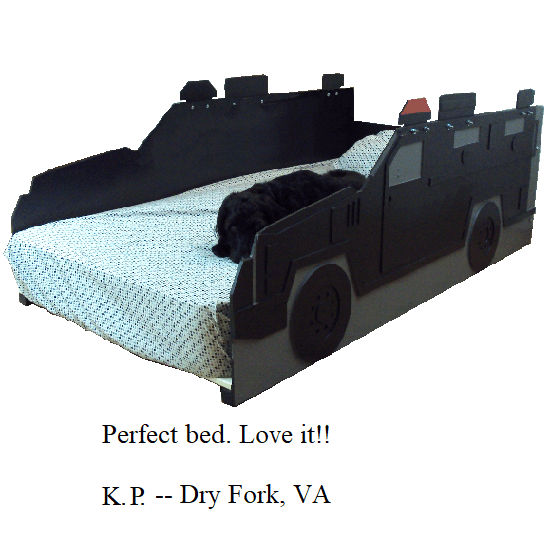 -1/9/2019: We have added a new product category for emergency vehicle bed frames! 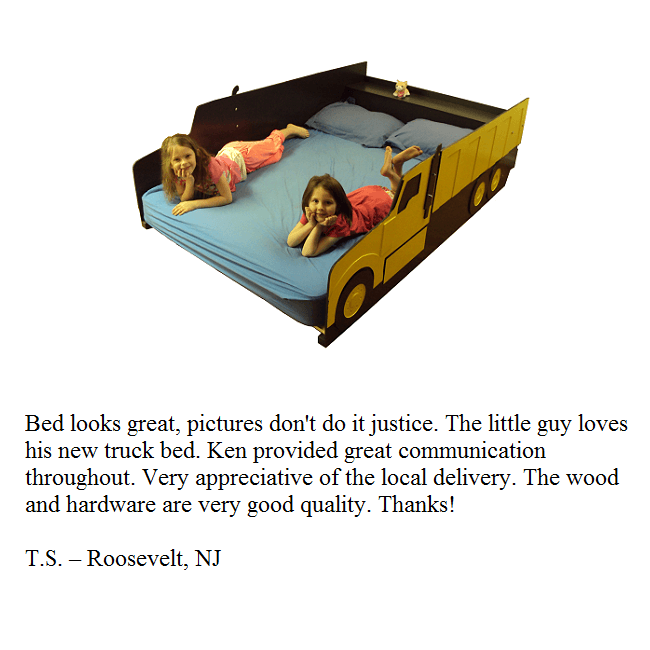 -Customers can now leave reviews! 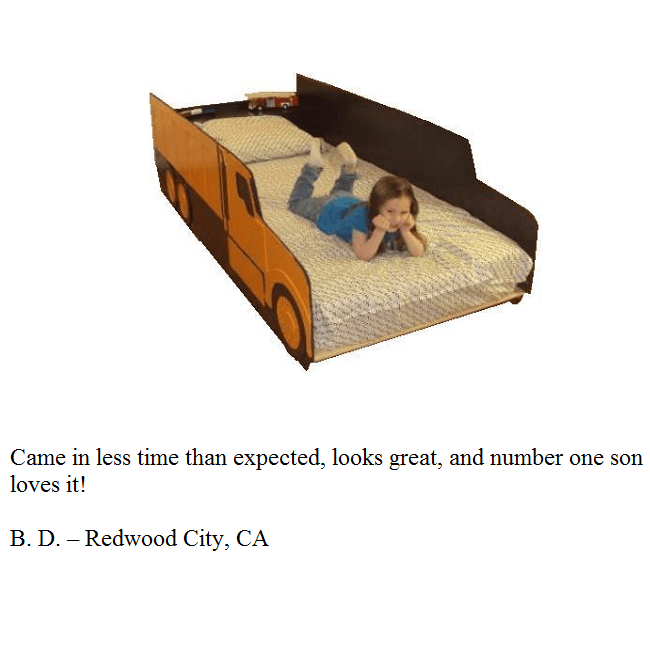 Submit a review. -We've added a section to our site for totally random, possibly useless, but maybe helpful information! (see main menu). 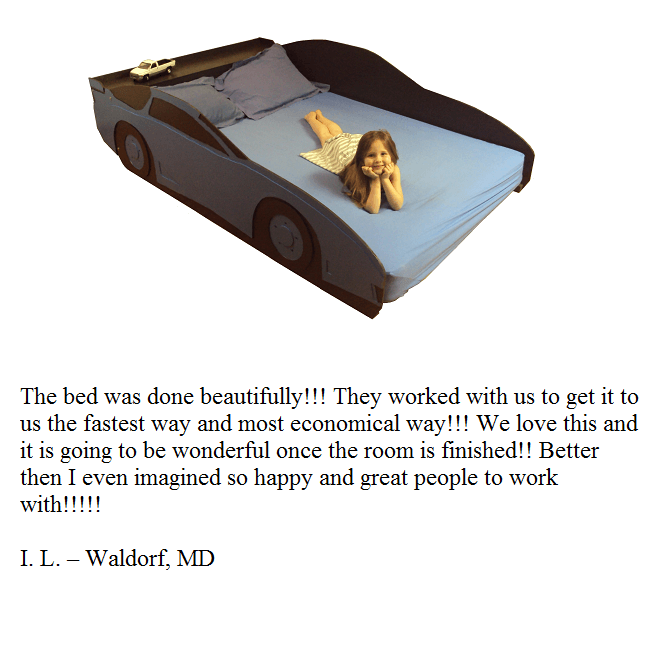 -See what makes us tick! 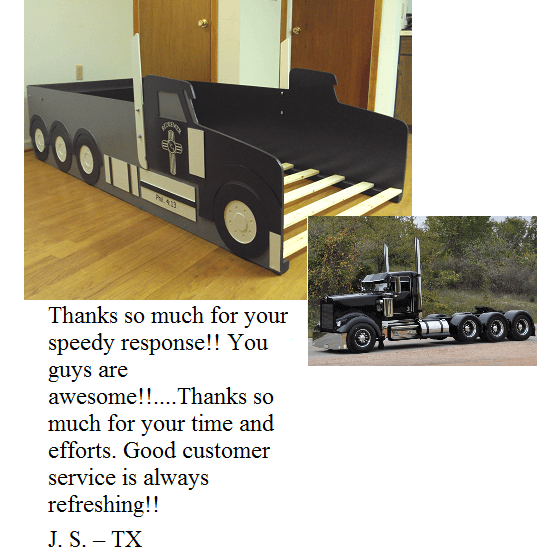 See our business philosophies. 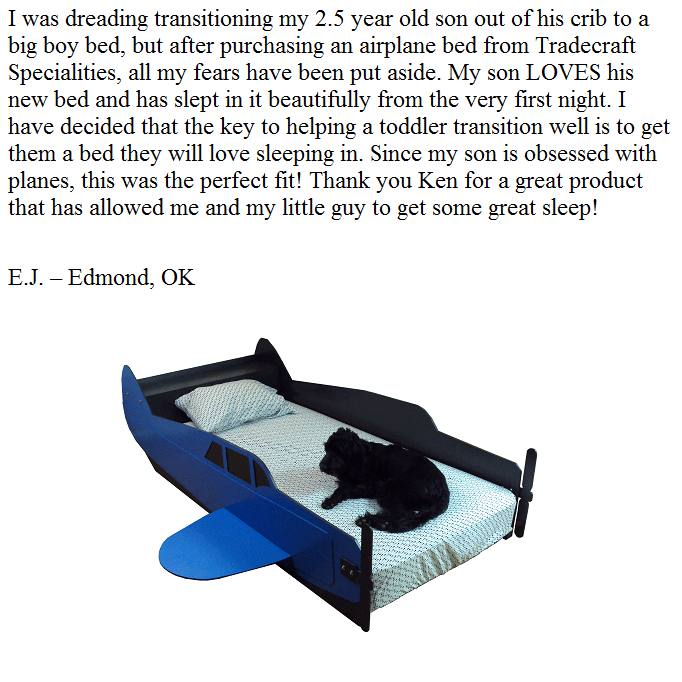 -Easy entry of coupons and rebate codes! 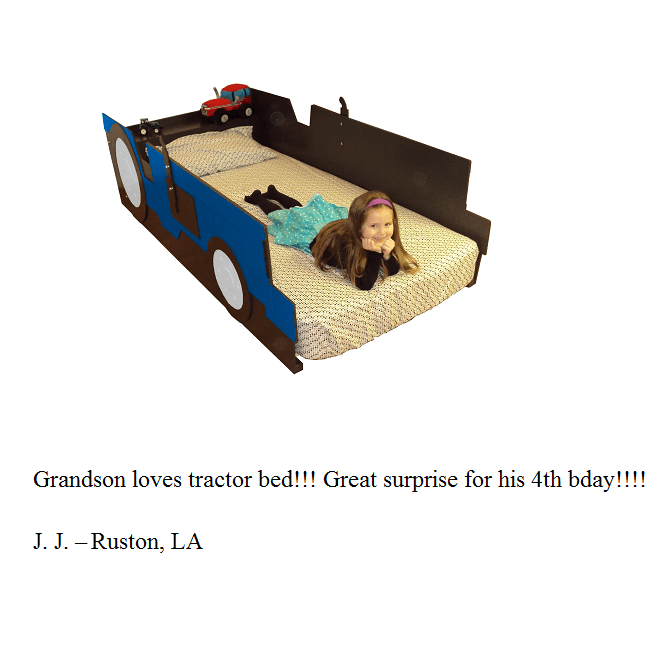 See our products page. 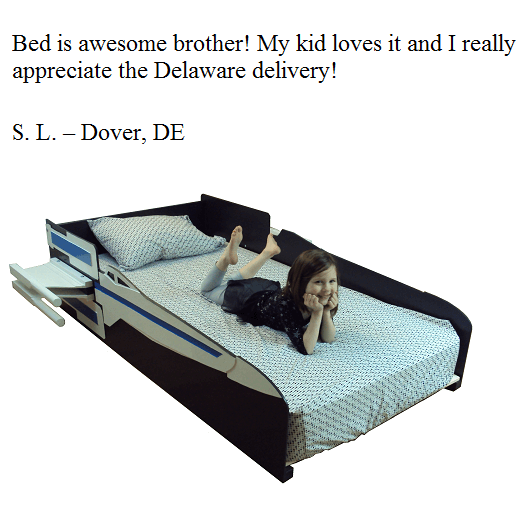 -Our in-stock bed frames now have a 'buy it now' option. 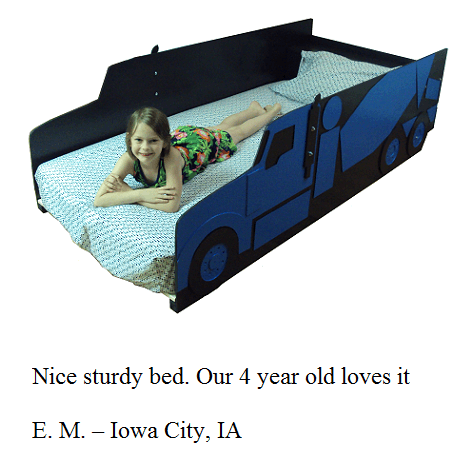 See our products in stock page. 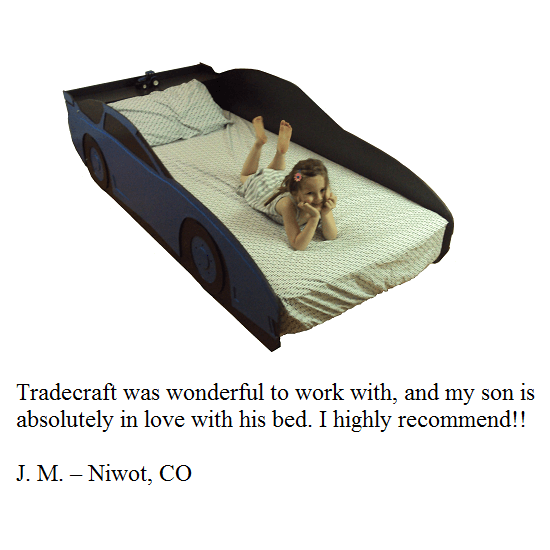 Tradecraft Specialties was created out of a passion for designing, engineering, and handcrafting specialized kids beds. 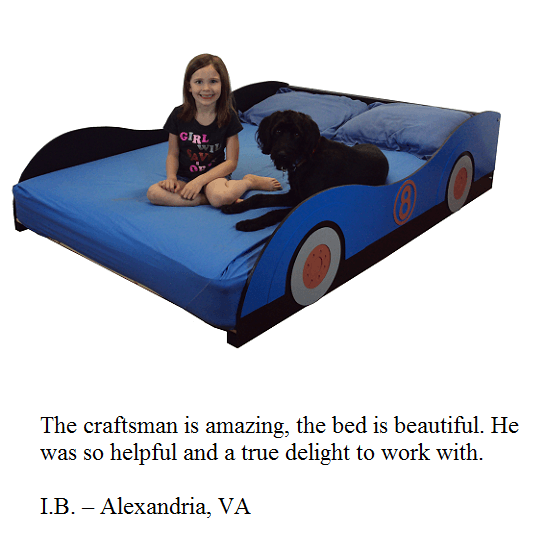 Our work is entirely hand-crafted and hand-painted, making each product a unique piece of craftsmanship and imagination! 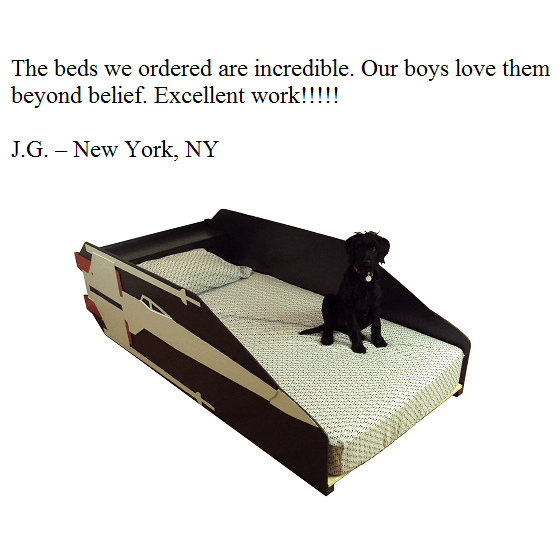 Also, our bed designs go through a rigorous testing period before sending them off to families to ensure quality and safety. 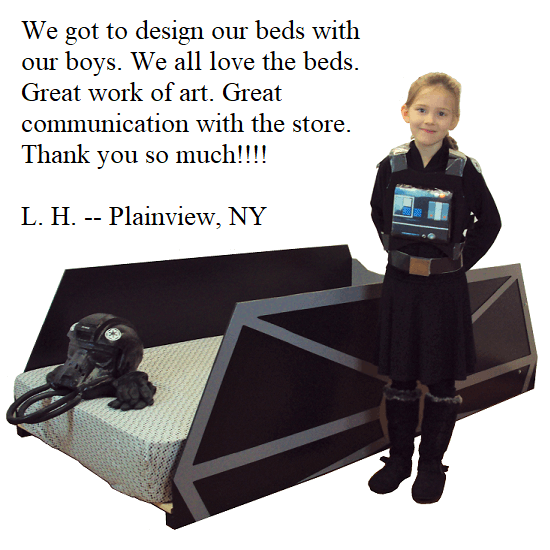 Many of the beds from Tradecraft Specialties have come to life at the special requests of parents looking for a unique bed that their children would absolutely love, and we love the challenge of designing new and unique products to meet our customer’s needs. 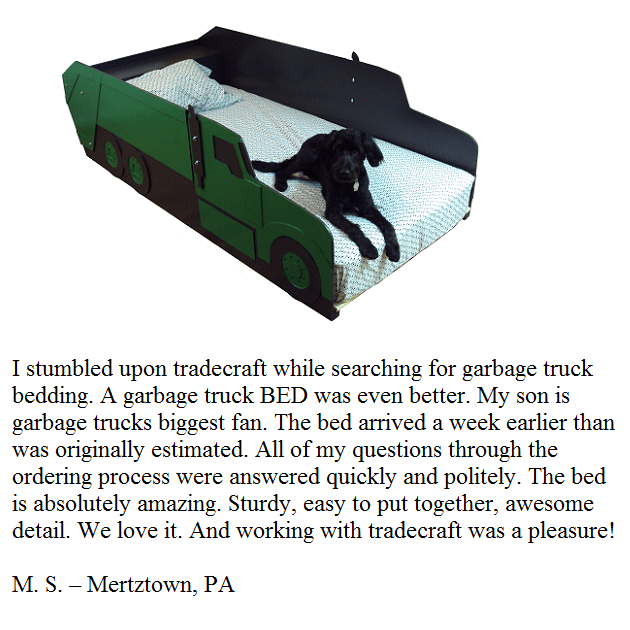 Tradecraft Specialties was founded in Lancaster County in 2013. 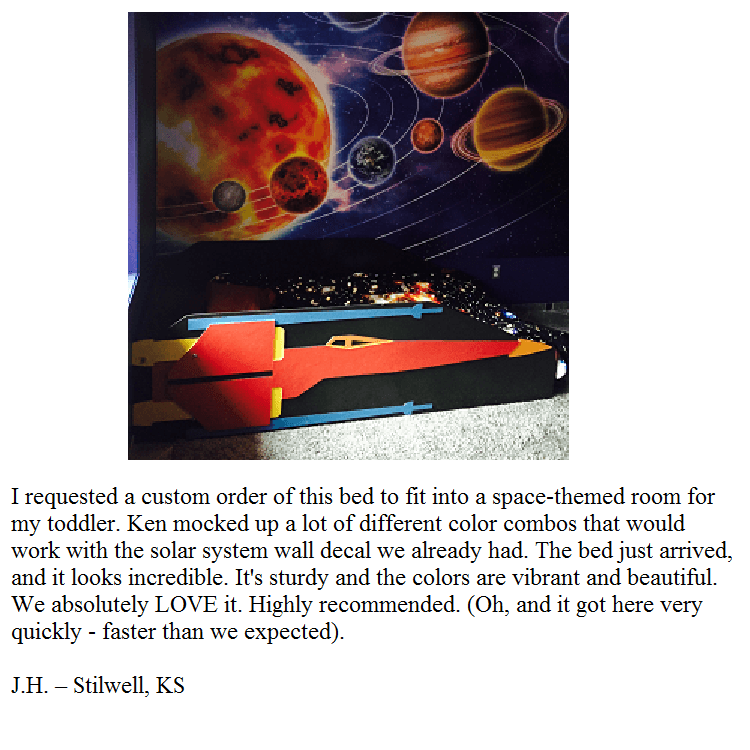 After our founders' daughter made a unique request for a special purple race car bed, they set out to create just that. 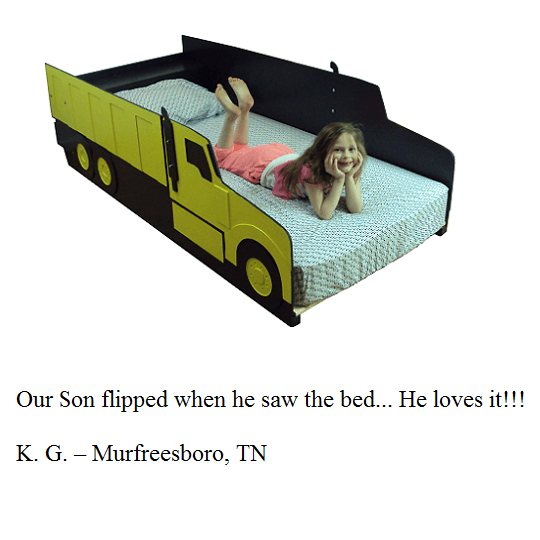 The crib-to-bed transition for their daughter was so successful thanks to this bed that they knew they were onto something! 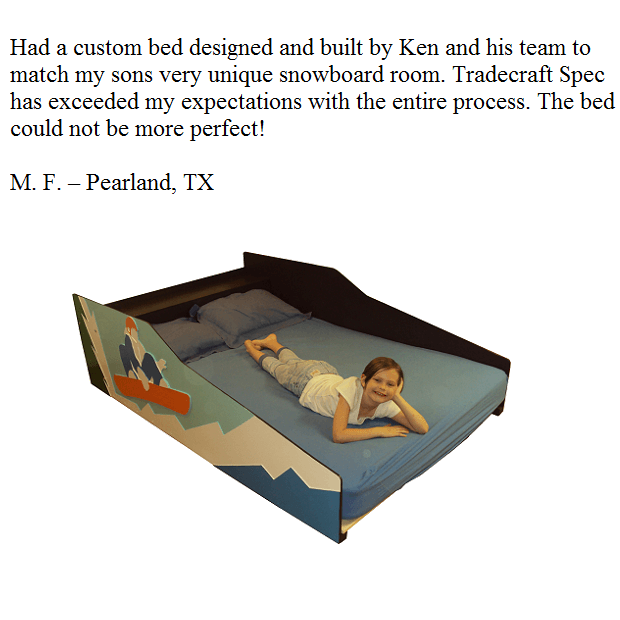 Now Tradecraft hand-makes and hand-paints customized, themed children’s beds that fit both twin and full size mattresses. 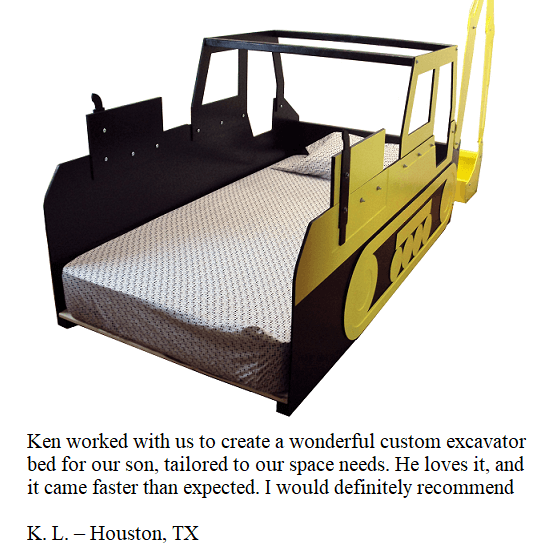 We have created dump trucks, tractors, airplanes, and even sports themed styles, just to name a few. But the possibilities are endless! 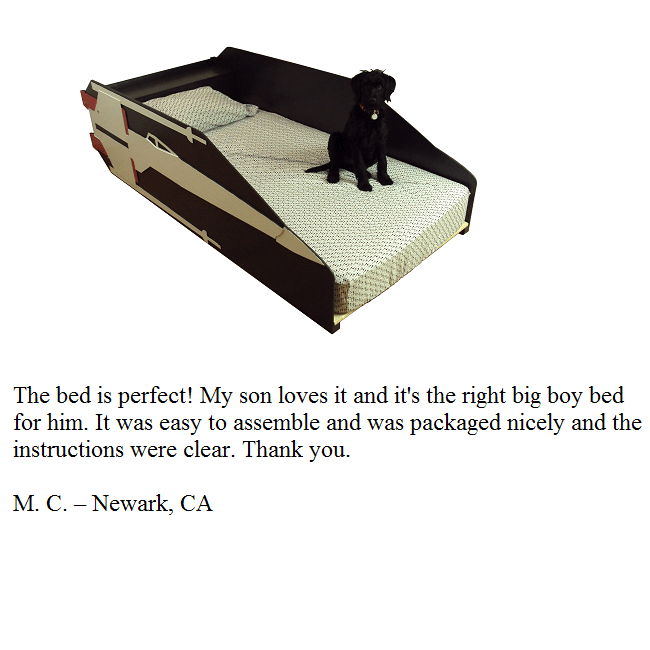 And just in case you want your new bed right now, we are beginning to carry a few designs in stock. 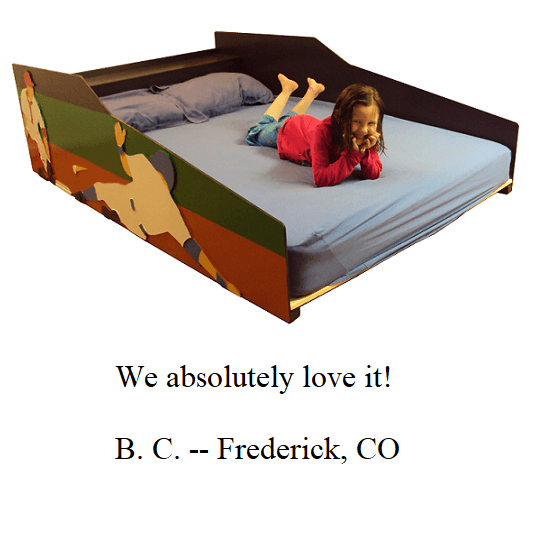 Another new option we offer is custom panels that allow you to change any existing crib, bed, or even bunk bed into something fun and amazing. There is not much that we can not create – so let your imagination go wild!